[PHARR] St. George Food Pantry began in 2003 in response to the great poverty and immediate need found within the local community of Pharr, Texas. Located just miles from the border with Mexico, St. George Food Pantry has fed over 53,000 people since it began, including more than 26,000 children as well as numerous elderly and handicapped. Sponsored by St. George Orthodox Church, a Parish in the Orthodox Church in American Diocese of the South, the local Church is made up of a diverse population which has consistently served its neighbors since its founding in 1979. 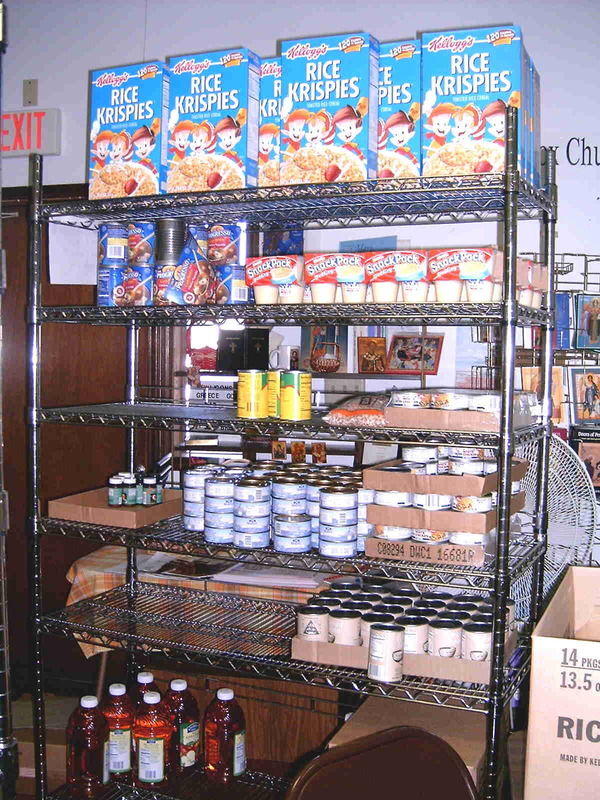 Although the local Parish is small and financially challenged with no Orthodox neighbors or sister Churches nearby to help with this important work, the Food Pantry has been able to keep afloat financially for the past eight and a half years. 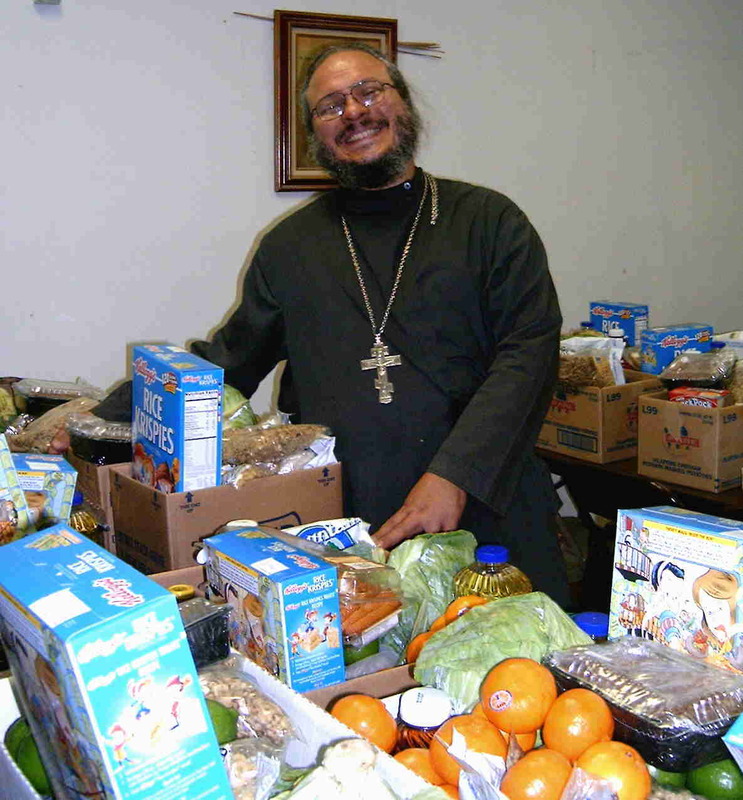 The Food Pantry has been blessed by financial support shared by both grant sources and individual contributions, and by a rare but most welcomed check sent by other Orthodox Churches in the Diocese. However, as of August 1st of this year, St. George Food Pantry's funding balance includes less money than it takes to run the program for a single month. This is due to several factors. First of all, individual contributions have fallen off in recent years, due to the challenging economy. Second, for various reasons, several consistent grant sources did not come through for 2012. 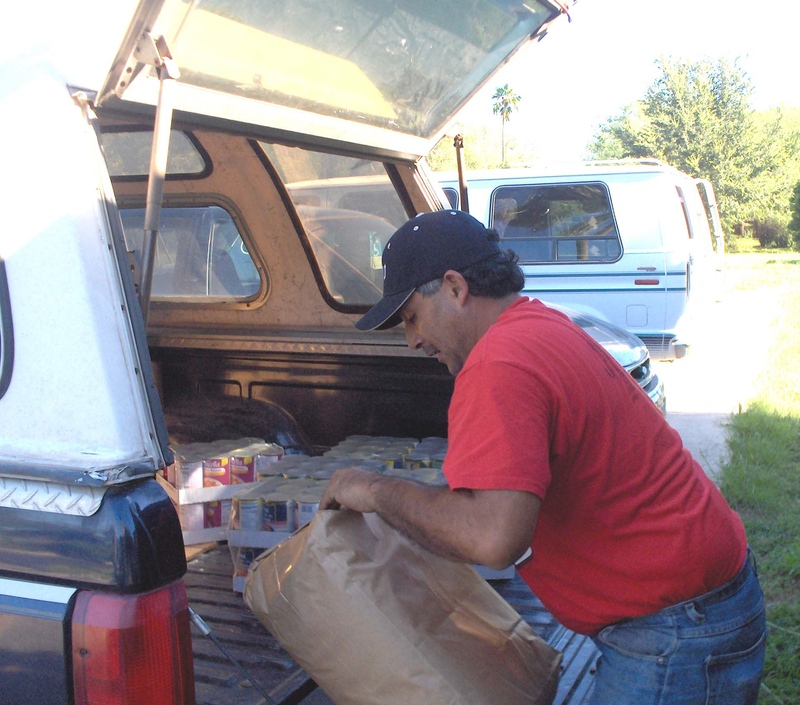 St. George Food Pantry receives most of its food from the Food Bank of the Rio Grande Valley. The program's per person cost is only $1.25. Several other food pantries in the local community have either scaled down service or closed their doors entirely in recent times. If emergency funds are not quickly raised, St. George Food Pantry must either drastically reduce services or close down until additional funds can be found. With available funds alone, St. George Food Pantry can open one time in August. After that, unless a funding infusion come in, the program must temporarily close to participants. This would be a great loss to the local community, as well as to St. George Orthodox Church's outreach ministries. Your individual, church group, church school or parish-wide donations are very much welcomed! Thank you for your continued support! 1) To continue serving low-income families in our Hidalgo Country, Texas neighborhood who come to us asking for food, diapers, school supplies and other direct aid assistance. Hidalgo County is statistically the 2nd poorest county in the entire USA and St. George’s is located only a few miles from the Texas/Mexico border along the Rio Grande. 2) To serve by our action and example as an Orthodox Christian witness and outreach in this borderlands region. 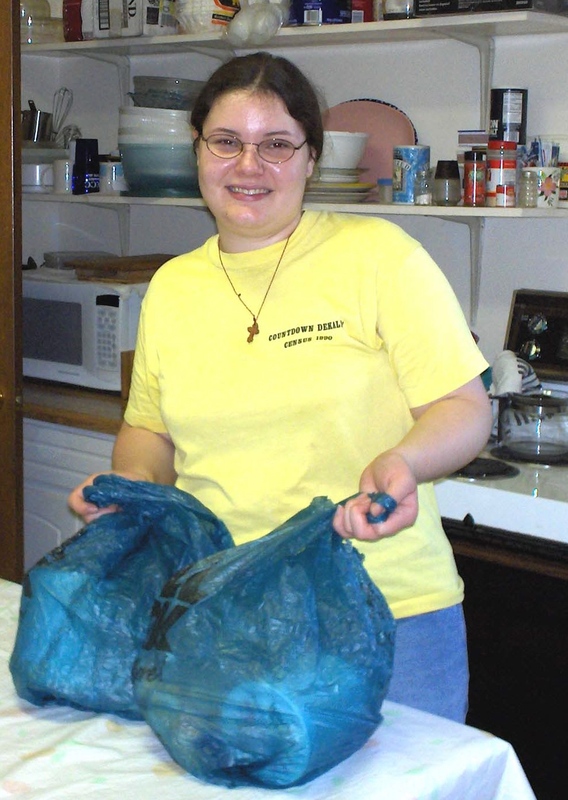 3) To provide opportunities for parishioners, local youth and adults, and visiting Orthodox youth volunteers to experience serving others through the St. George’s Food Pantry. Most-bountiful God; fill our hearts with mercy and bountifulness!" Fr. Antonio Perdomo arrived in the Rio Grande Valley to be the Pastor of St. George’s Church in January 2002. It soon became apparent that the need for food and other assistance was very great indeed, as testified by the frequent requests made by those from our local community, who came both to the Church and his home, hungry and requesting food for themselves and their families. Nearly everyday, someone knocked on the Church doors asking for food. When the Parish kitchen had nothing available, it was the Perdomo family's own pantry which was raided. Their Pantry was raided frequently to share with other, but the needs were far greater than could be accommodated in this manner. So, what was at first an informal effort to respond to the need to feed those who regularly came to the Church later became a formal program. 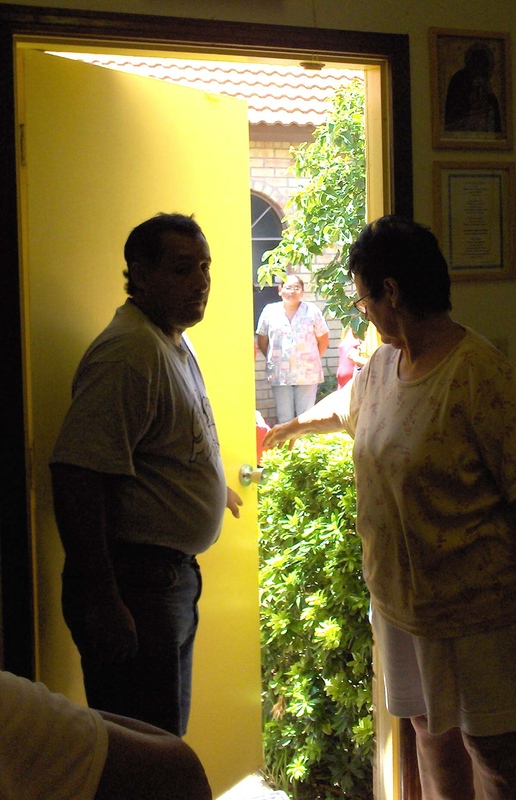 With the blessing and support of the Parish, the doors were opened to St. George’s Food Pantry in the summer of 2004. Since that time, the Food Pantry has quickly grown to serve over 100 families each time it is opened to serve. 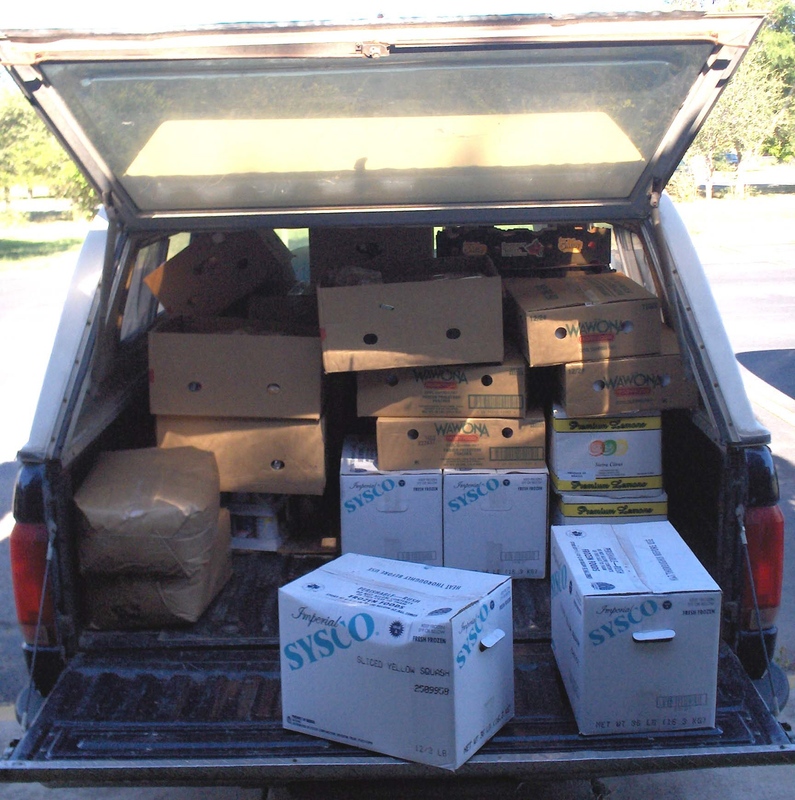 The local Parish donates staple foods and supplies, as do those in our community. Our Parish’s International Bake Sale included a “Give A Can; Get A Cookie” component to help collect canned food supplies. Local businesses and residential retirement communities have also volunteered to be collection sites for canned goods. We long to make this a Pan-Orthodox effort! St. George's is geographically isolated from other Orthodox Christian parishes. Even though we are the only Orthodox Church in the Rio Grande Valley, and we serve our Lord Jesus Christ here on behalf of all Orthodox Christians. We pray to become “Partners” with the Pan-Orthodox Christian Community—both Parishes, and individuals or families—found throughout the region and this North American continent. Each time it opens, St. George’s Food Pantry serves over 100 families – including many women with children, elderly and handicapped. At Thanksgiving, we shared 108 turkeys, and still had to turn away several families. Funding food and administration costs for the ever-increasing numbers who come to us continues to be one of our greatest challenges. 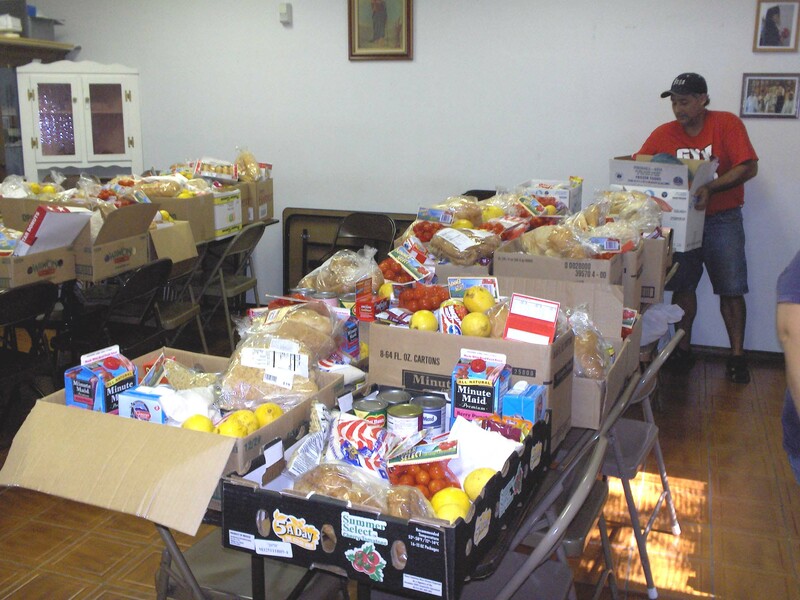 St. George’s Food Pantry will continue to provide for as many of those who come to us as we can possibly serve. Most participants are Spanish-speaking, recent immigrants to the USA, women with children and often multi-generational extended families to feed. Many of those served are elderly and/or handicapped and live on fixed incomes. Much of the population in our Church’s surrounding neighborhood live at or below the official national poverty level. Some have no other service options, because of immigration status challenges, and language barriers. Transportation difficulties and proximity of service also plays into our need to directly serve our neighbors. A number of participants must ride with others or ask family members, neighbors or friends to bring them to the Food Pantry, as they have no transportation. Generally, we open two Wednesdays per month. Due to schedule conflicts and out of country travel (to Mexico), during last January, the Food Pantry was only open once. The following report shares our official statistics for 2006 from January – October. November numbers and beyond will reflect the drastic increase in participants now served. Program/Project Activities: What specific activities are proposed to carry out this purpose? Give details about the individual aspects of the project/program. Currently, St. George’s Food Pantry opens to serve participants twice a month, on Wednesdays. Volunteers meet Fr. Antonio at the Church at 8 AM. Volunteers and their trucks and/or vans follow him to the Food Bank of the RGV. There, Father and the volunteers pick up 3,000 lbs. or more of food and other items ordered from the Food Bank of the RGV (costing 14 cents per pound), plus any “freebies” which are available. Cases of food are then transported back to St. George’s Hall and are unloaded, unpacked and portioned into family-sized boxes. Before 8 AM, there is usually line forming outside the Hall. By the time Father and the other volunteers return from the Food Bank, the Church parking lot is entirely FULL and a long line of participants wait for the Food Pantry to open. When the first round of approximately 50 food boxes is ready to distribute, Father begins letting participants come into the Hall to register and fill out required paper work. Food distribution begins. As space becomes available, another 50 food boxes are prepared for waiting recipients. Everyone works until all families have been served. The last few months, we’ve been feeding over 100 families each time we’re open. Because we’ve run out of food, we have had to turn away some who came later in the day, even though the Food Pantry was still officially “open”. After the food is distributed, the area is cleaned up by volunteers. Some of our volunteers are St. George’s Parishioners. Some are local home-schooled youth and mothers. Others are regular participants and recipients of the program. Program History: This request is to continue funding an already-established, on-going program, but one which is not yet able to financially function on its own, especially with the current level of demand and growth. 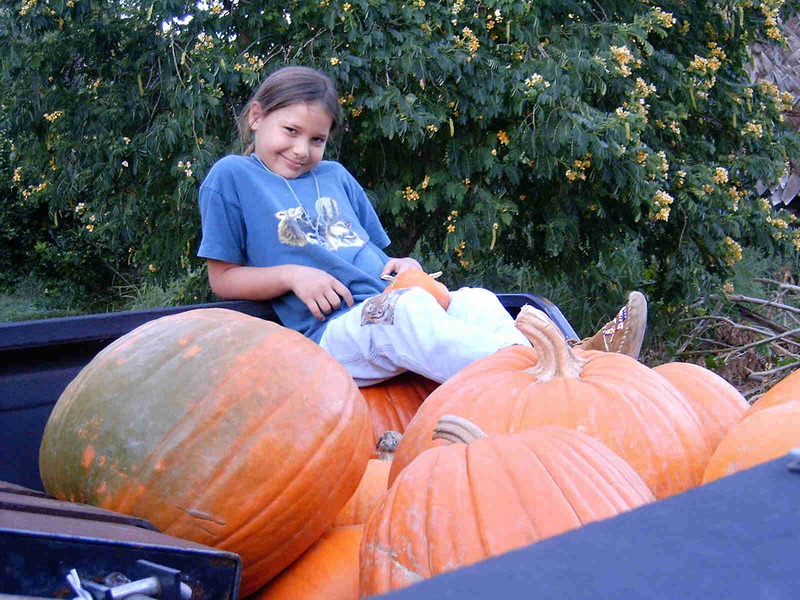 The program began in 2004 and has grown from serving only 12 families and individuals in September 2004 to serving over 200 families in November 2006. Individual Donations: During the past year, we have developed a small base of regular, monthly or semi-monthly contributors. Even small, steady donations of $20, $25, $35 a month help out tremendously! Some individuals have monthly drafts sent directly from their bank accounts. Having a steady, reliable income is extremely helpful. Besides regular, monthly donations, we have an ongoing stream of “one-time” or occasional individual donation sources. We continue to cultivate and encourage one-time donations, and are very thankful when these gifts are received. 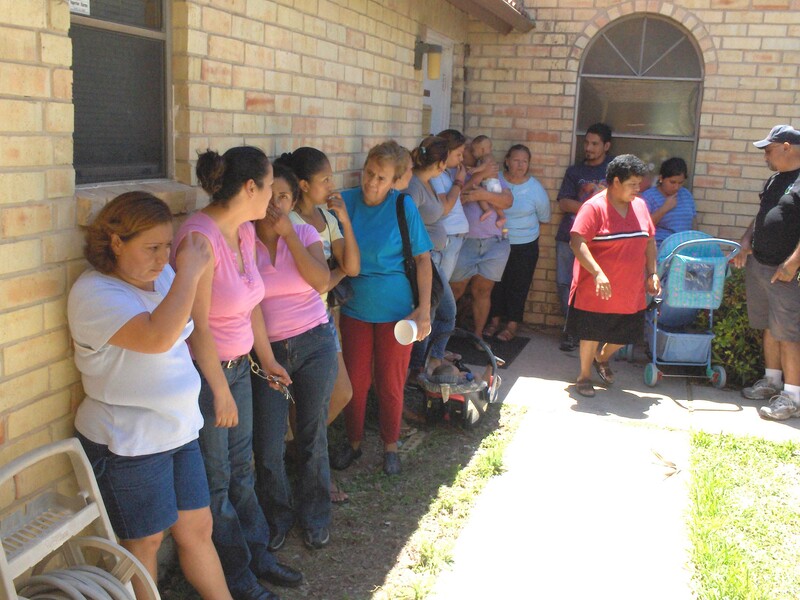 Since the inception of St. George’s Food Pantry project several years ago, well over 25,000 people who live in the Rio Grande Valley have been fed and served. ¡Sus corazones vivirán para siempre! Fr. Antonio Perdomo arrived in the Rio Grande Valley to be the Pastor of St. George’s Church in January 2002. Soon it became apparent that the need for food and other assistance was very great indeed, as testified by the frequent requests for food from those who came both to the Church and to his nearby home. 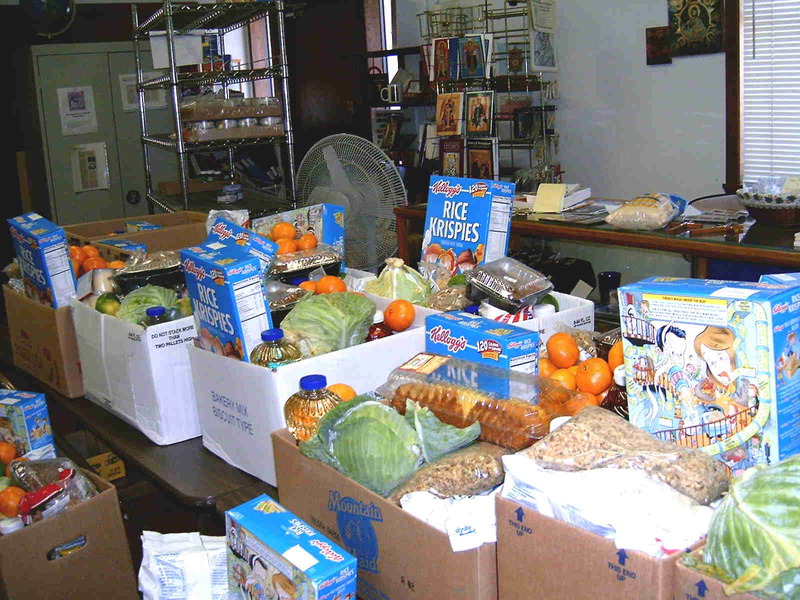 Initially, St. George’s Food Pantry was created as an organized response to better serve those who already came to the Church hungry and in need. 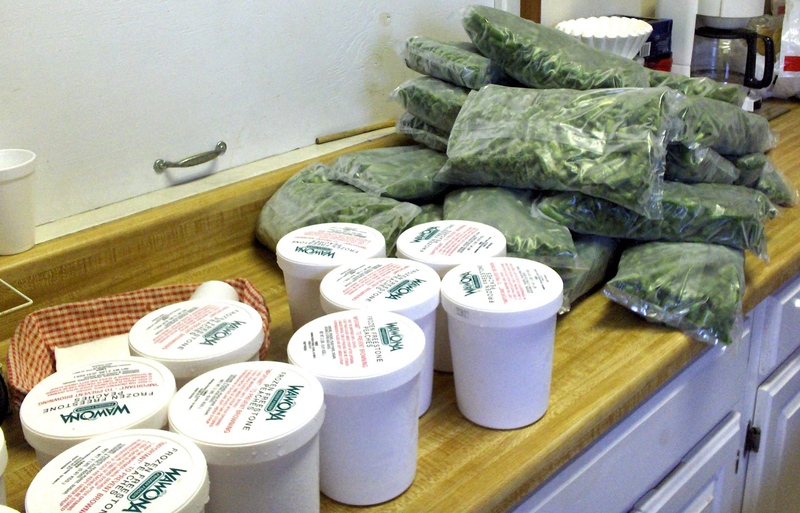 Within a few months, St. George’s Food Pantry grew, primarily by word of mouth. It has begun sharing with more than 50 families each time it is open. 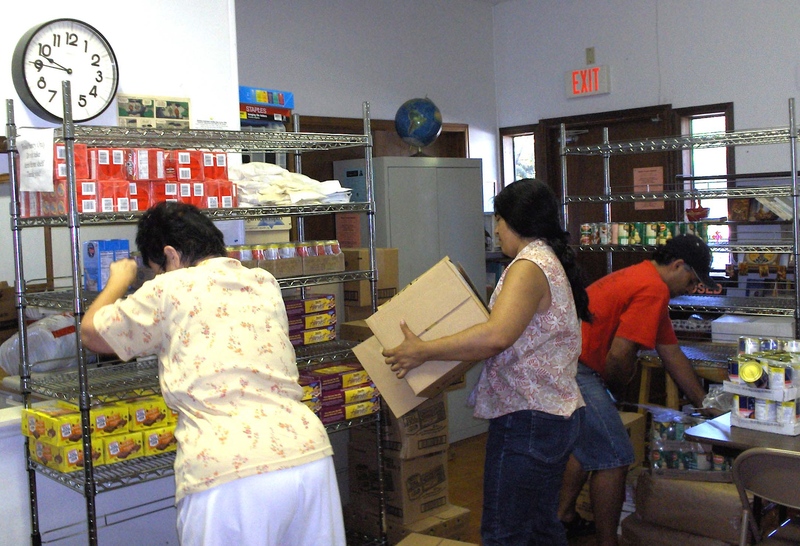 Unlike many food ministries elsewhere, who primarily serve the needs of the homeless population, St. George’s Food Pantry recipients are generally families, often these are very recent immigrants, unemployed or underemployed, who need some help making ends meet and in starting their new life in this country. 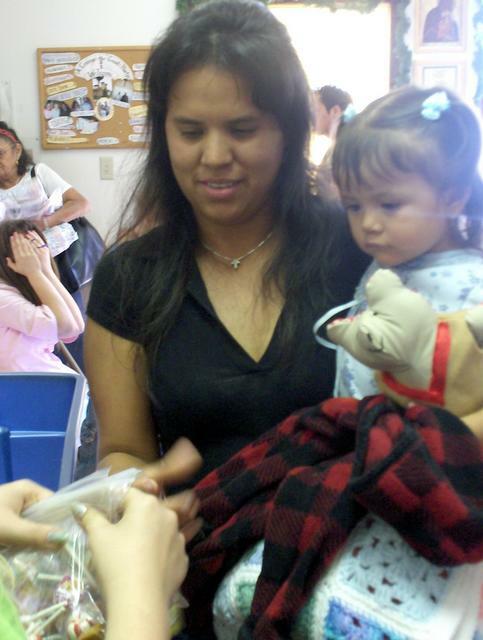 Most of our Food Pantry clients speak Spanish and very little English. 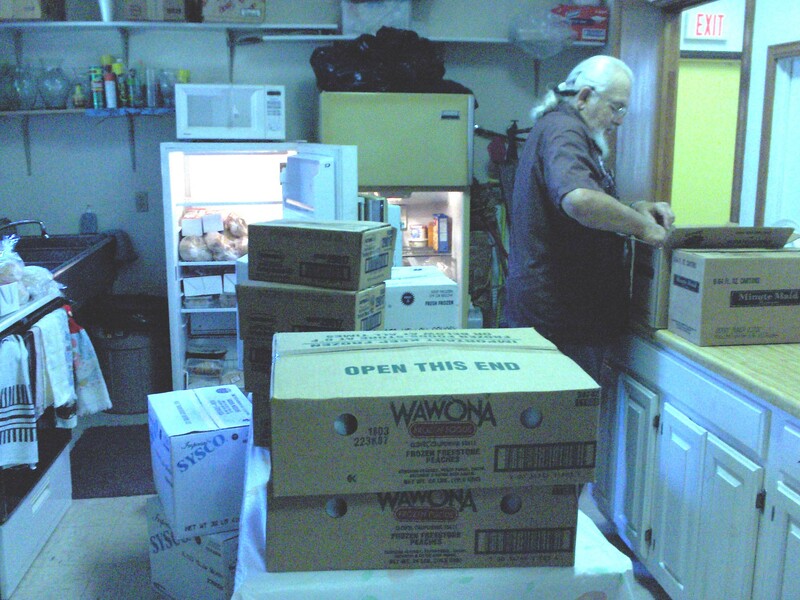 Initially, the Pantry was available as a weekly service, for the need is great here. However, due to financial constraints, for now it is open just twice a month. In addition to food boxes, it has shared warm clothing, blankets, bedding, mattresses, school supplies, toiletries and house supplies, as well as Christmas goody bags prepared by our own OCAY Youth Group for the many young children served by this ministry. Food Boxes Finished & Ready to Go! Food Pantry Doors are Opened!